First Folio: As with The Eye's Mind - the artist and the draftsman we are offering a First Folio hand bound edition of 100 numbered and signed books. 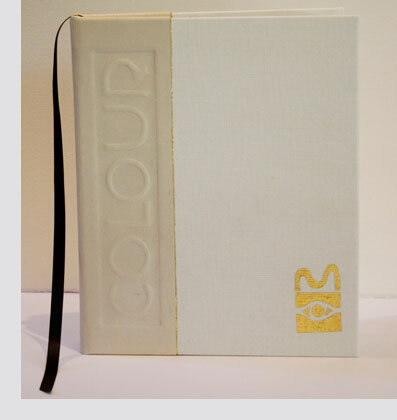 They have a leather spine, gold leaf and an original limited edition print by Merv Moriarty. 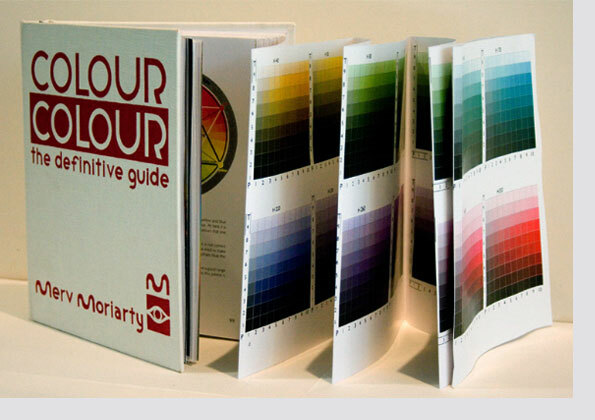 They include the HTP COLOUR Guide. Priced at $450.00 including delivery costs. Standard Edition: The second format that we are offering of Colour - the definitive guide, has a silk screened canvas cover, is hand bound and signed, and also comes with the HTP COLOUR Guide. Priced at $330.00 including delivery costs. 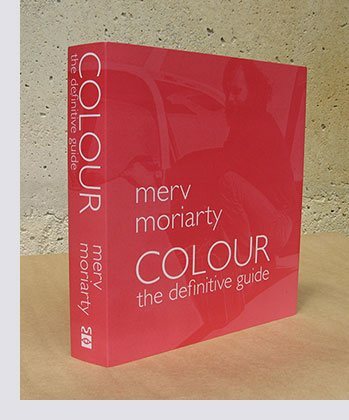 Studio Edition: We are now offering a third format of Colour - the definitive guide, which is the Studio Edition. Wire bound at the back, also includes the HTP COLOUR Guide. Priced at a very affordable $197.00 plus delivery costs.